The United States Department of Justice seized about 5,000 cases of frozen, processed crab products manufactured by Rome Packing Company because the seafood may be contaminated with Listeria monocytogenes bacteria. 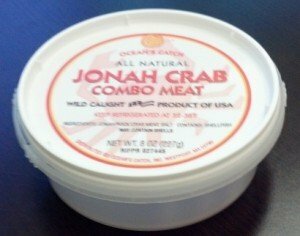 The government alleges that Rome prepared, packed, and processed Jonah Crab products in a facility contaminated with the pathogenic bacteria. According to court documents, the FDA inspected Rome’s facility on six different occasions and found that the facility’s cooking process did not adequately control temperatures to prevent bacterial growth. Environmental swab samples collected from three areas of the facility allegedly tested positive for Listeria monocytogenes bacteria. And poor sanitary practices and conditions in the facility may have caused cross-contamination between cooked and raw foods. The bacteria can survive the freezing process and can grow at refrigerator temperatures. Rome Packing recalled fresh and frozen crab meat twice in 2014, both times for possible Listeria monocytogenes contamination. The first recall was issued on May 28, 2014 for minced crab meat sold nationwide. The second recall was on October 22, 2014. The products were distributed in Maine, Massachusetts, Rhode Island, New York, Pennsylvania, Florida, Illinois, and California. The symptoms of Listeria monocytogenes food poisoning include flu-like fever and muscle aches, upset stomach or diarrhea, stiff neck, headache, loss of balance, confusion, nausea, diarrhea, or convulsions. The symptoms may take up to 70 days to appear, which makes it difficult to diagnose and difficult to trace the illness back to the food that may have caused it. The average time between exposure and symptom development is three weeks. Pregnant women are especially vulnerable to this illness. Listeriosis can cause miscarriage, stillbirth, and infection in the newborn baby, even if the woman is only mildly ill. Any flu-like symptoms in pregnant women should be immediately reported to a physician. Some physicians treat pregnant women with antibiotics if they have eaten foods recalled for Listeria contamination, even if they aren’t ill. A newborn infant infected with Listeria can suffer seizures, paralysis, blindness, or deafness. If you purchased any crab meat from Rome Packing, under the All Natural Jonah label and experienced the symptoms of listeriosis, see your doctor. Proper and early treatment is critical for a good outcome.